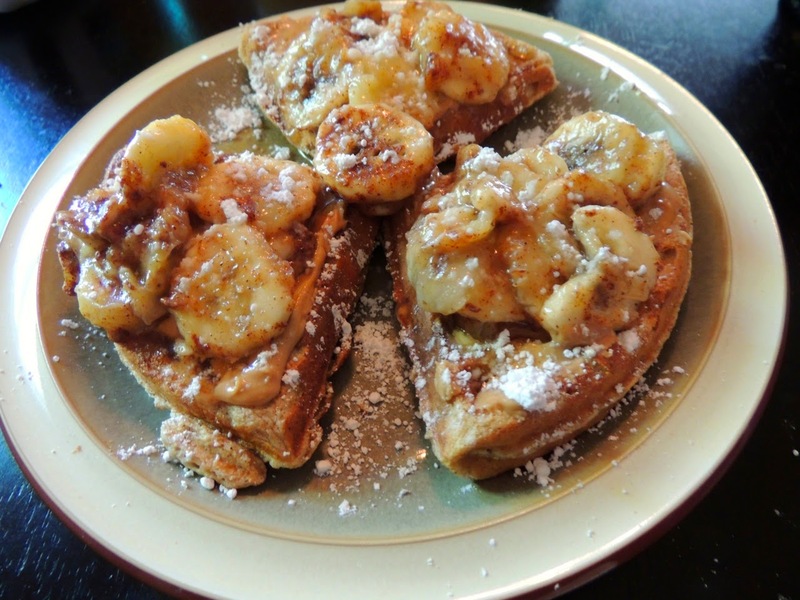 I've always loved bananas and peanut butter, and I also love waffles and bananas. Well, why not add peanut butter and turn it into a combo Elvis would love? Make your waffles if you haven't already. You can easily make and reheat my delicious Multi-Grain waffles. I make a huge batch, keep them in the freezer and reheat them in the toaster. Get the recipe here. Slice the banana and put it in a microwave-safe bowl. Heat for 30 seconds and stir. Cook until the banana is cooked through and a little mushy, perhaps another 30 seconds. It'll depend on your microwave. Sprinkle cinnamon on top of the banana and stir. Spread peanut butter on your waffles. Top with the cooked bananas. 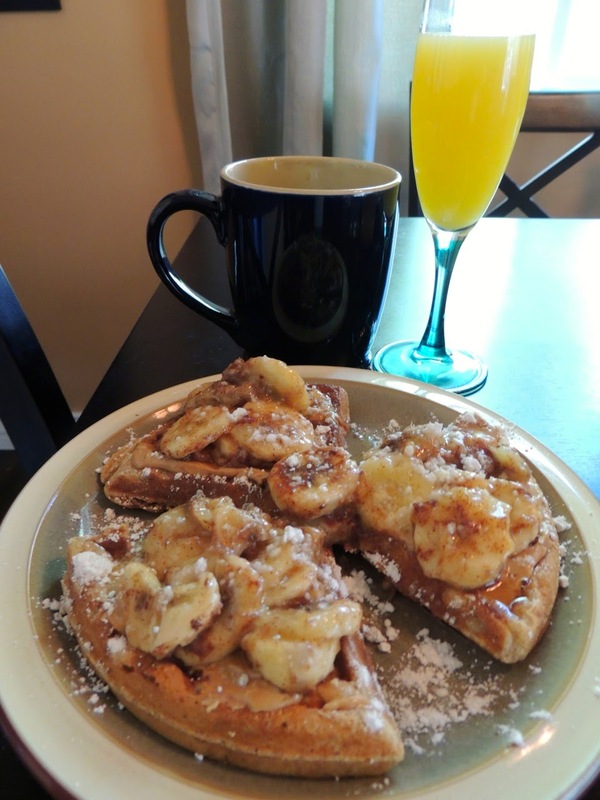 Add your favorite syrup or a sprinkle of powdered sugar and invite Elvis over for brunch! This meal would go great with a Skinny Pregnant Girl Mimosa and/or a Flavored Cafe au Lait.